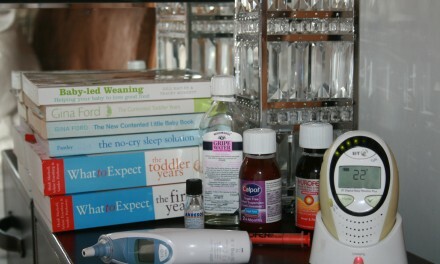 We love books in this house. The children have hundreds. We have more books than places to put them and a regular visit every week to the library adds to the pile, in a good way of course! 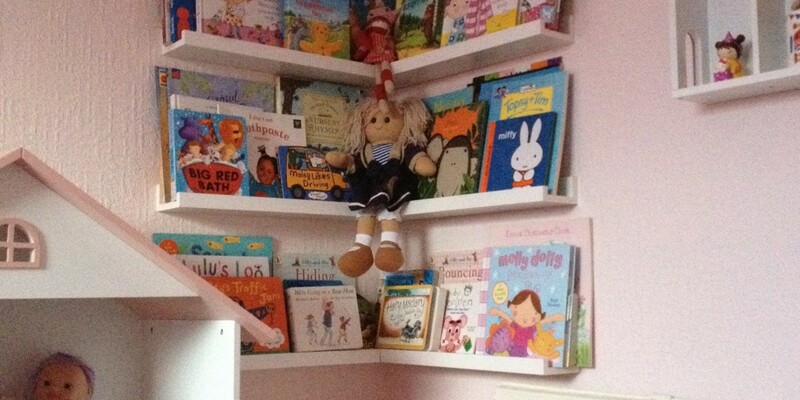 Diva G has a Dolls House bookcase which for her birthday this weekend has been accessorised to become a dolls house leaving many more books homeless. So last weekend inspired by Pinterest boards across the globe I paid a visit to Ikea. I needed only one thing, Ribba Picture Ledge, and I needed lots of it! 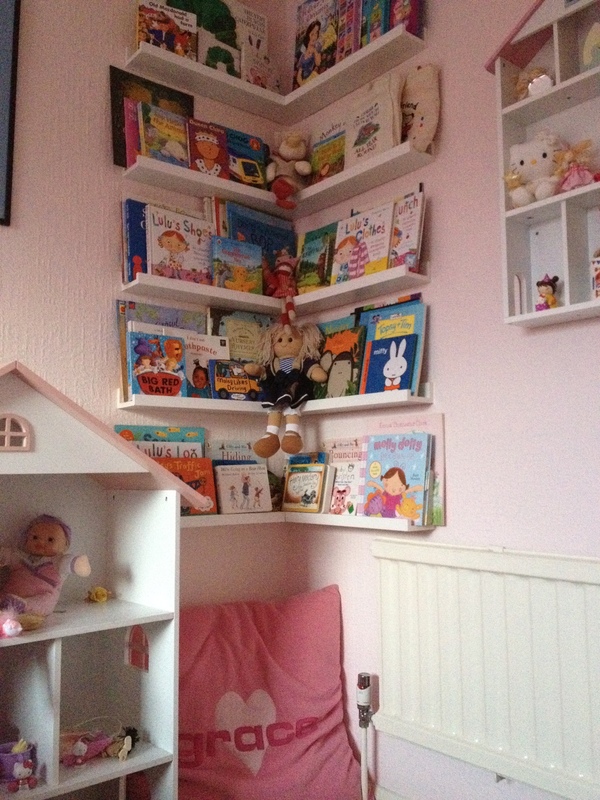 My plan was to create a reading corner in the Diva’s bedroom and a bookshelf around the playroom storing the books and adding decoration to both rooms by putting the gorgeous colourful book covers on view. We, well Mr L is the best handyman in Wilmslow, mitred the corners of the ledges, the end result is better for it in my opinion. This approach wasn’t the easiest, the walls of our house aren’t straight and the corners aren’t a square 90 degrees, worse than that the angle changes slightly for each and every shelf. Measure twice and cut once for each and every shelf is the lesson learnt! 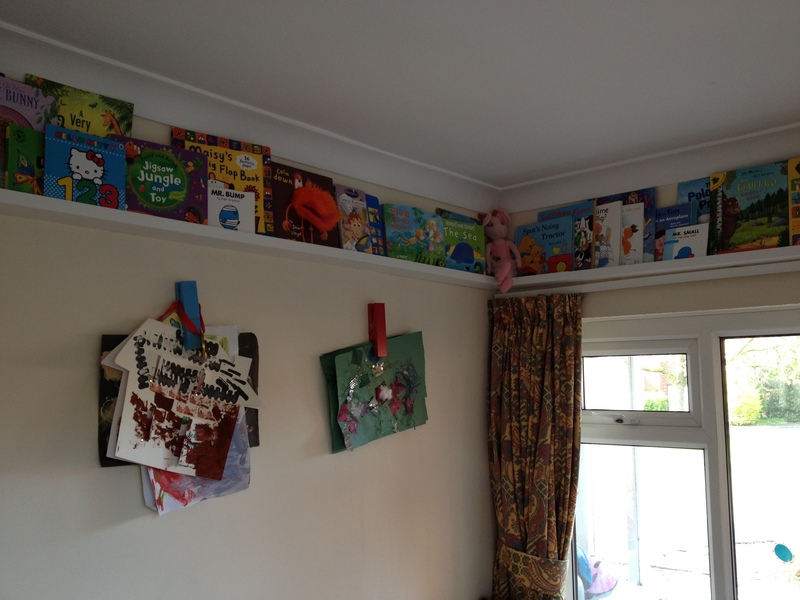 I am really chuffed with how our shelving project has turned out and Diva G and Lil H have rediscovered some of their books being able to see so many more covers and not just book spines. So here you are, I’d love to know what you think. 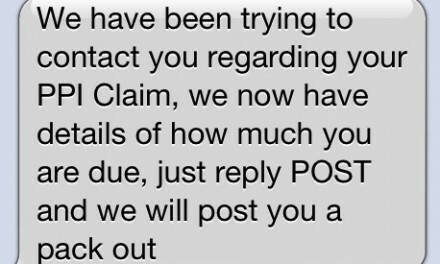 Fed up of PPI Claim People Phoning? Love these! Danger D’s are how I remember books being stored at school & nursery, such a lovely layout! Lil H’s are very cool for a boy! And such a great way to display all the fab covers! May well be stealing some ideas…! That looks fantastic! I really want something where they can see all the books so that would be perfect 🙂 Is it ok to borrow your husband to put them up though?! ?